This week's article was inspired by a particular user whom my colleague, Jimmy, and I are often interacting with. He didn't want his name to appear publicly so, for the needs of this article, I'm going to call him Mathew. Mathew is a Senior SharePoint administrator for a company employing thousands of people. He has been working there for 6 years already, and he was discussing how the company has changed over the past 2 or 3 years. He mentioned that a corporate restructuring took place, and some employees were let go. Of course, he deactivated those users within the Active Directory of his environment, but they were not removed from site permissions, item Created-by and Modified-By properties, etc. Consequently, even if our friend is a hard worker, it remains a painstaking process to find and remove all of them to meet the expectations set by his superiors, as well as adhere to SharePoint security best practices. Mathew was essentially looking for a way to keep track of all SharePoint orphaned users across his farm. When we came back to him with info on what Sharegate can do, I think Mathew fell in love. Sharegate would effectively reduce the amount of work he would have had to do in order to track orphaned users. 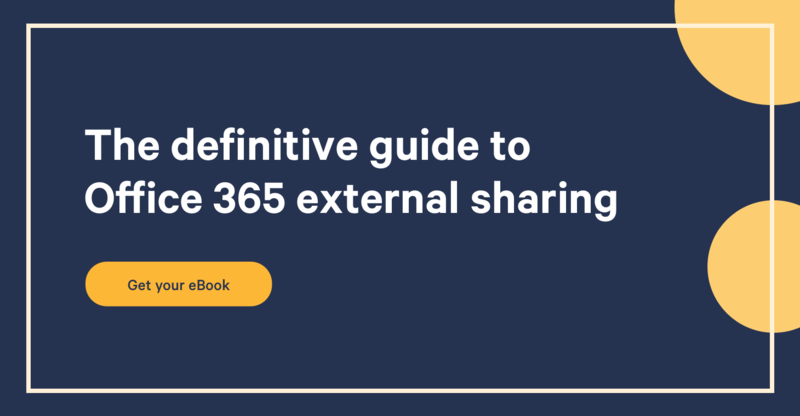 In fact, when Mathew tried Sharegate, he was taken aback by how easy the tool was to use, and how effective it was in meeting SharePoint Best Practices, notably regarding user management in his Office 365 environment. Back to the specific case of orphaned users. What he did to access this information was pretty simple. He first connected to his, farm as described here and selected the 'Reports' feature. He then found out that Sharegate contains some built-in presets, notably the one he was actually looking for! How great is that! So what he did was simply click the 'Orphaned Users (disabled in the Active Directory)' report. Doing so prompted him to select the targets of his search within his SharePoint farm. In his case, he wanted to search across the entire farm, which is achieved by simply checking the box on the left side of the desired target. Once all his search criteria were set, Mathew simply clicked on 'Next'. From this point, all he had to do was hit the 'next' button, and let the magic happen while enjoying the pleasure of biting into a juicy red apple. A couple of seconds later, all the orphaned users appeared, saving him plenty of hours of work.